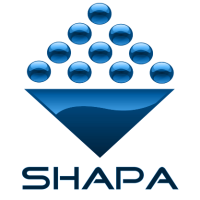 Shapa are holding a Atex Workshop, this event helps keep you up to date with the latest thinking relating to the Atex regulations. The event is exclusively for member companies and covers, Legislation, Ignition Sources, Building a technical file, Venting, Suppression and Isolation and is to be held at the Hilton Hotel East Midlands Airport. The Atex Workshop is held on 14th March 2017 and will be facilitated by experts in the field of Atex. ESC’s Simon Brown will be presenting at this on legislative side of Atex.